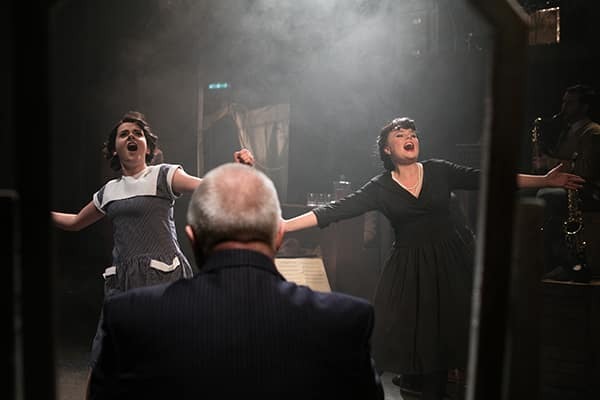 Following its success at the London Theatre Workshop, Ray Racklham’s Through The Mill, has transferred to Southwark Playhouse. 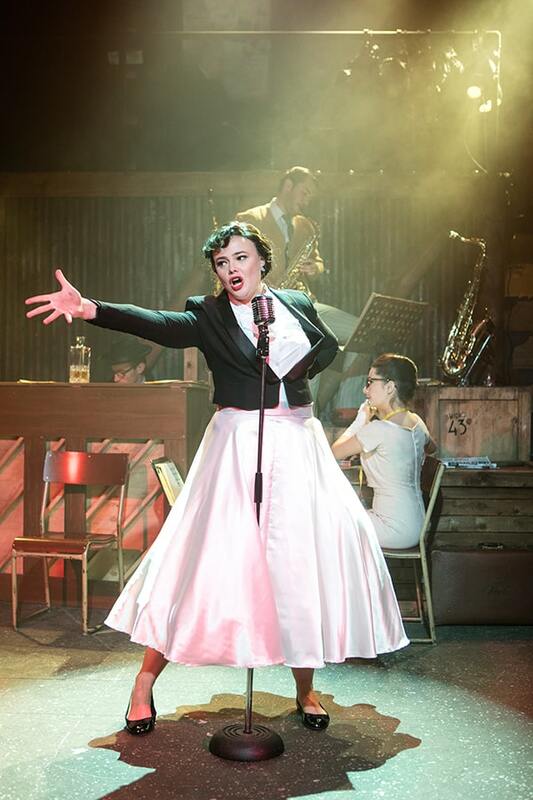 Tackling the legend of Judy Garland head on by going for extreme excess, Through The Mill is a musical drama about Judy Garland that doesn’t just have one Judy Garland, it has THREE! By featuring three actresses playing Judy at various stages in her life, Rackham’s play is able to show the actress with both foresight and the luxury of hindsight. A lot of what we already know about Garland and her need for love and her addictions are present, but there is a heady mixture of optimism mixed with regret, that I found intoxicating as an audience member. Unlike Over The Rainbow, Peter Quilter’s play which focuses on Judy Garland’s time in London at the Talk Of the Town later in her life, Through The Mill, gives you Garland at the start, mid-career and as she is filming a series for CBS. 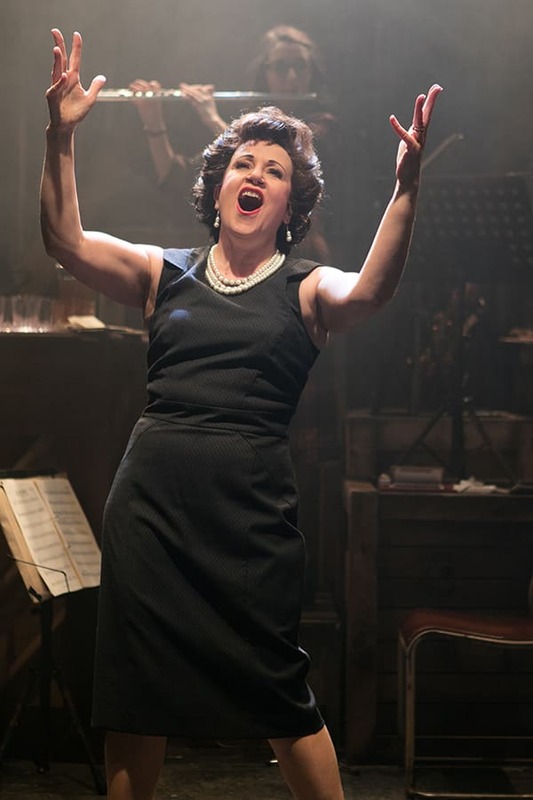 Finding one Judy would drive most producers mad, but in finding three remarkable actors to take on the multi-faceted Garland, they have assured audiences an incredible theatre experience. 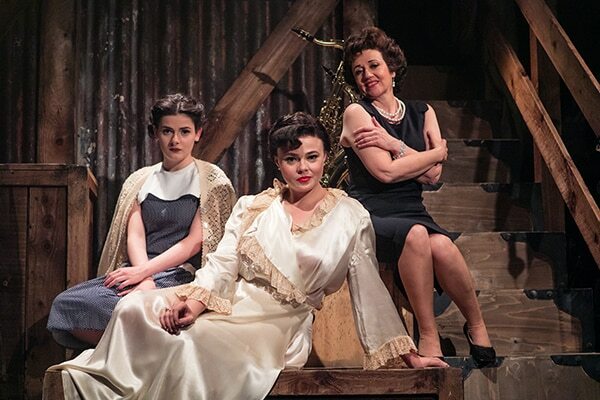 Playing Judy are Helen Sheals (CBS Judy), Belinda Wollaston (Palace Judy) and Lucy Penrose (Young Judy). Each is remarkable in her own way, perfectly encapsulating aspects of Garland, but when unleashed together the effect is akin to an emotional tsunami. Only Judy Garland can ever really know what being Judy Garland was like, but in Rackham’s writing and staging, you occasionally see moments when Palace Judy and CBS Judy are watching Young Judy with looks of painful regret that are tantalising. Whilst most of the attention in Through The Mill concerns Garland, some of the beautifully drawn support characters merit mention. Amanda Bailey brings every inch of Moma Rose to the role of Ethel Gumm. Tom Reade is wonderful as Garland’s early sympathetic mentor Roger Edens. Harry Anton’s masculine portrayal of Sid Luft at either end of his relationship with Judy sees the draining effect of the relationship fully realised. Carmella Brown plays Judith Kramer, a dresser who befriends Garland at CBS. From caterpillar to butterfly, Kramer’s transformation and her friendship give fans an onstage voice as Garland is subject to perhaps the best drawn supporting character of the evening, the totally vile Hunt Stomberg Jr, played with gusto by Rob Carter. Stephen Sondheim has said that “Focus groups are the death of all entertainment” and it’s easy to see why, as Garland is told that every facet of her performance needs changing to suit a television audience. Belinda Wollaston as Palace Judy. Photo: Darren Bell. What is remarkable throughout, is Rackham’s ability to seamlessly integrate the multiple time-lines of the plot without losing clarity. There is no doubt that much of the emotion that poured out of Judy Garland came from a lifetime of living, but the non-sequential method employed by Rackham makes perfect sense when telling the story of a legend such as Garland. Musically, Through The Mill is solid with a core group of musicians supported by actor/musicians throughout. Musical Director Jordan Li Smith and Musical Supervisor and Arranger Simon Holt, keep the plays musical moments suitably paced, knowing when the intimacy of a beautiful piano arrangement works, and when to unleash a big, brassy sound that perfectly compliments the onstage force of three Judy’s. Through The Mill is a triumphant look at the life of Judy Garland. It’s a wonderful evening in the theatre that will thrill fans and non-fans alike. 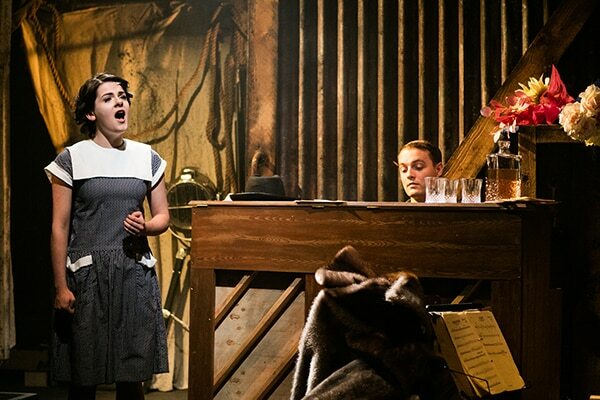 The incandescent star that was Judy Garland continues to burn as brightly as ever thanks to Through The Mill at Southwark Playhouse. Don’t miss it.